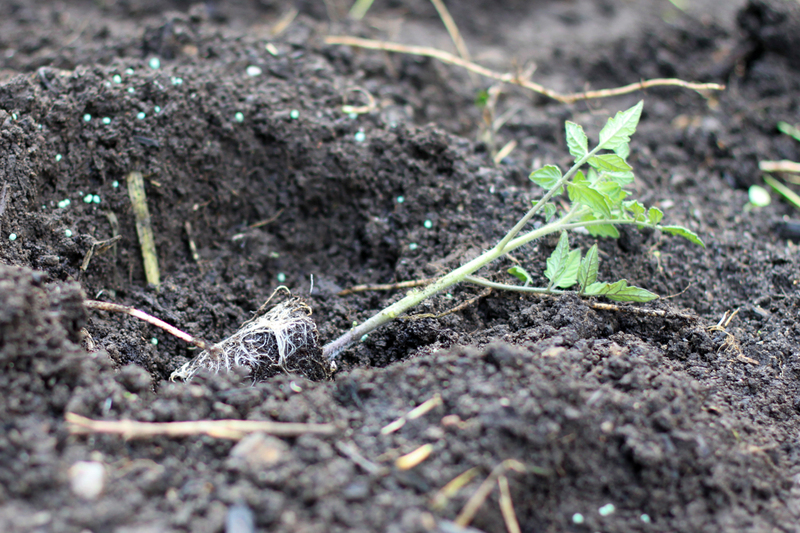 Step 2 for growing your own beefsteak tomatoes: Fertilize the ground, add compost or manure, prune and plant ‘em lying down! Pick a spot in your garden and dig out a hole at least a few inches deep. You’re going to be planting much deeper than your seedling sat in the cube tray. 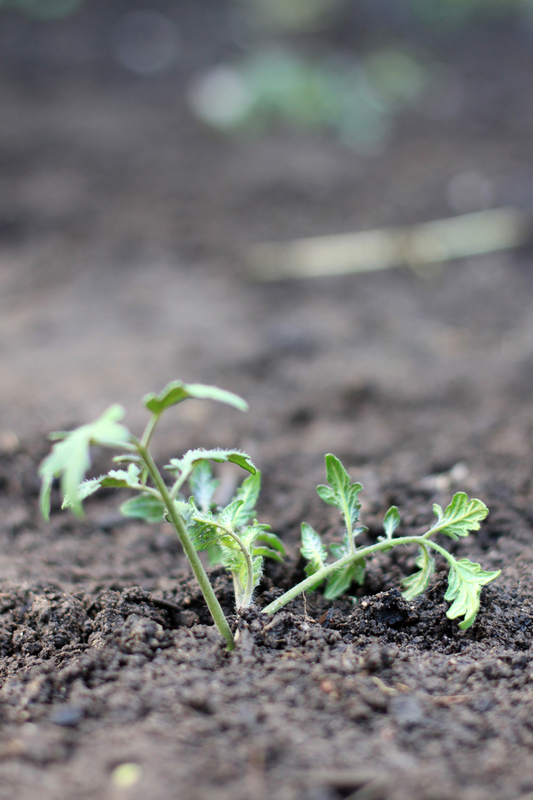 Lots of how-to articles tell you to plant your seedlings lying down – this is especially helpful if you don’t have enough depth of quality soil. I do this by default, to encourage root stability and to keep them closer to the warm surface during the early stages of growth. 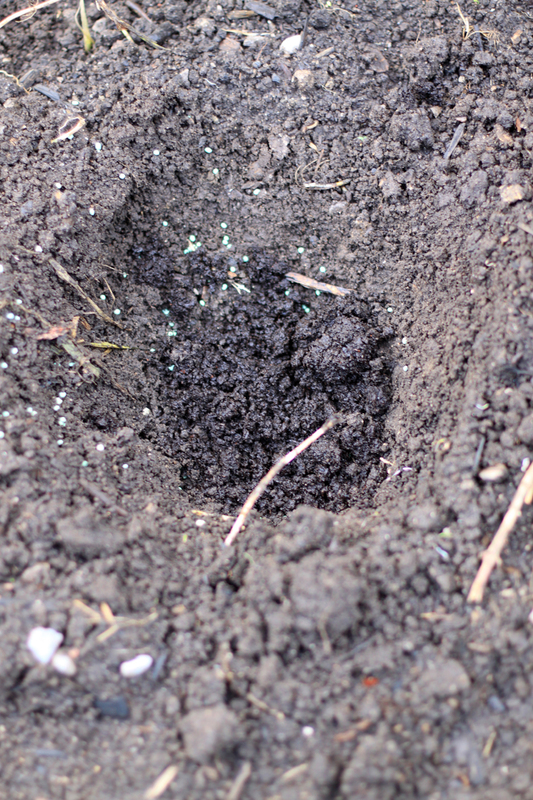 After you’ve dug your hole, sprinkle some fertilizer in (high middle number stuff, remember?). Then throw in a handful or two of compost or manure. Be sure to mix it around with your hands or a garden shovel. 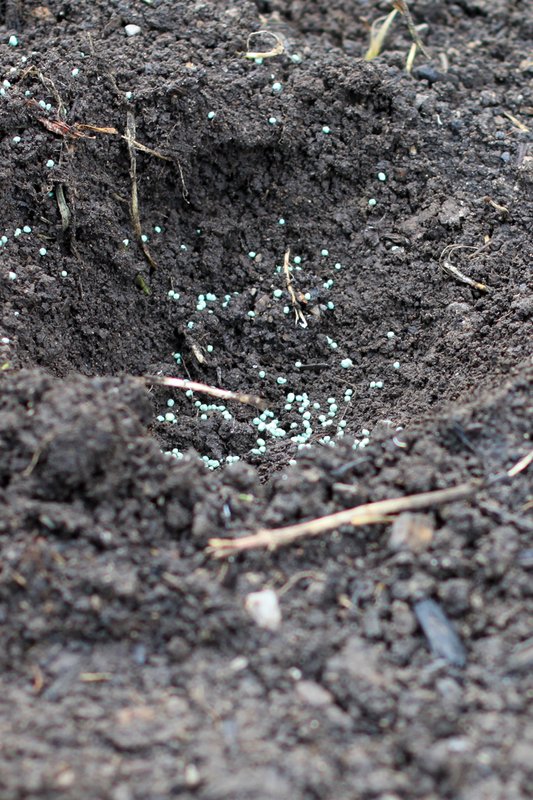 You don’t want to plant your seedling directly into a pile of fertilizer pellets. The roots will burn and the dream will be OVER real quick. Pinch off the very bottom two branches. There should be two sitting fairly close to the soil in your cube tray. These are unnecessary and this portion of the stem is going to be buried anyway. Seedlings lying down, not you lying down! Lie your seedling down in the hole with the main leafy portion of the plant still above ground. Bury the stem and roots and pack the soil down nicely. Don’t pack it too hard or you’ll break the main stem. Now water it. A lot. And if there’s risk of frost overnight, put something over it that allows air circulation but won’t allow frost to settle downward. I use lawn chairs. 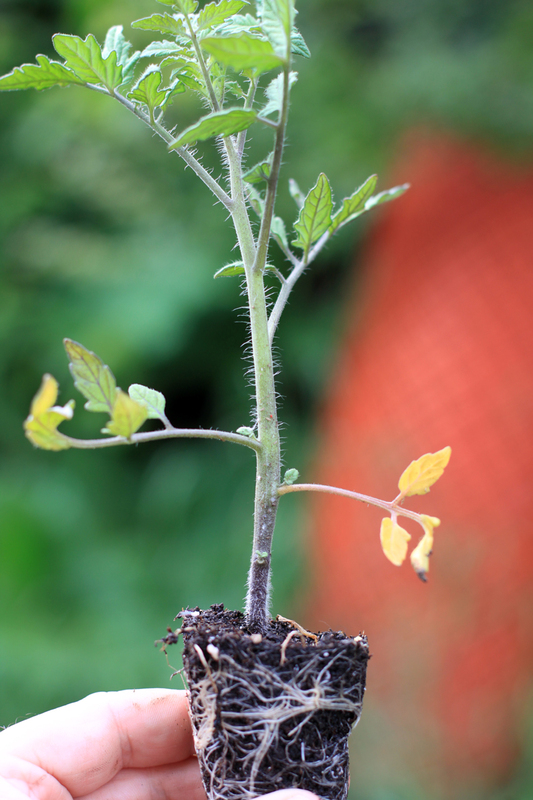 Remember: Tomato plants need full sun and lots of water.